Zoo-phonics Academy and Safari Kids' Elementary English Program is a weekly 55 minute English language program developed for children of elementary school age from grades 1 to 6. Qualified and experienced English speaking teachers instruct classes of up to 8 students in size. Classes are organized into six grades based on ability, so children are assured of getting the most out of the program, effectively targeting all the core skills of hearing, speaking, reading and writing. 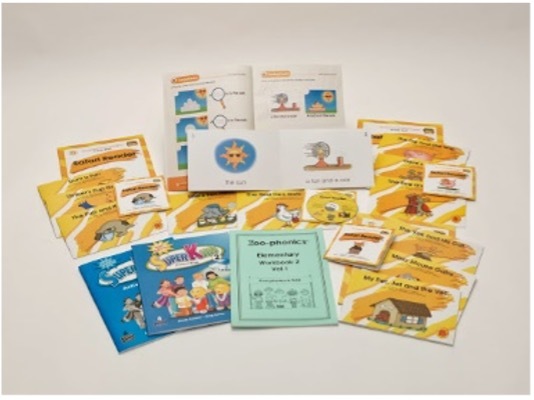 In the first half of the class phonics concepts are introduced through Zoo-phonics' unique kinesthetic method and original materials. In the later half, textbooks are used that emphasize the Total Physical Response (TPR) method, chants and games, and vocabulary drills, which reinforce concepts and sentence structures, giving children opportunities to use and speak English. We offer to students, who have studied with us for more than a year, an opportunity to participate in United Nations Associations Test of English for children ("Kokuren Junior Eiken Test"). 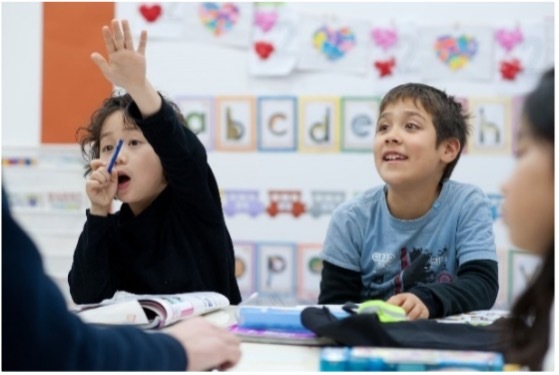 Advanced English Classes are designed for returnees or children who graduated from our international kindergarten, and who desire to further develop their English language ability while they study at a Japanese elementary school. Class sizes up to 8 students. We offer two types of courses; a 'Conversation Class' and a 'Grammar Class', with each course consisting of four grades levels based on ability. We recommend children to take both courses. To join the Advanced English Class, students will first be assessed by the teacher on their conversational skills, and reading and writing abilities. In the Elementary English Classes, we also try to cultivate the children's international awareness and understanding. We introduce other countries, cultures, and events to children through books, pictures, arts & crafts, games, and songs. We also hold yearly Halloween and Christmas events at the school. Tuition information for our Elementary English Programs are available to view or download. These documents require Acrobat Reader. If you are unable to open the files, please download Acrobat Reader. Please let us introduce to you Safari Kids International School. You will see our children enjoying to learn and play. Especially, the language arts lesson by Zoo-phonics is their favorite. 2018/10/30 International School Halloween Party! 2018/09/14 Welcome Back to School! 2018/07/20 End of Term Yukata Party! 2018/07/12 Summer School is Almost Here! Copyright(c) 2011 Academy All Rights Reserved.